I am currently on holiday with my friends for the week of New Year but have scheduled this post to be my end of year post. Be warned, it is a very wordy post, but a very happy one. One day, when I am old and grey and I look back over the years, one of the most successful and memorable will be 2013. 2013 has been absolutely amazing. I have come so very far in such a relatively short space of time and have accomplished more in that time than I ever thought that I could. I started off the year much the same as many years previous. Without direction, unhappy, under confident and searching, but for what I didn’t know. By chance one day I saw a retweet on Twitter linking to a blog and something in the cosmos told me to click on it. It took me to TheRamblings of Mrs Bebe. My mind got a little bit blown that day. 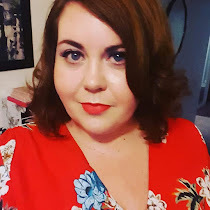 My journey has been well documented on this blog but I wanted to write down some highlights to remind me of just how fantastic this year has been. I will be adding to this list right up to New Year's Eve, who knows what will happen between now and then? - I have embraced colour and pattern into my wardrobe. - I don’t walk down the street anymore worrying about what others think I look like. - I have modelled for Plus North (the best moment, ever). - I have got changed in a room full of people. - I got over a broken heart I didn’t know I had. - I have joined a dating site. - I have worked with numerous brands and been given a lot of opportunities. - I have a wardrobe full of beautiful clothes. - I now write a monthly guest post on a fashion site. - I feel confident in myself. more confidence as a result. - I’ve met some incredible people in the blogging community. - I’m not as shy, I feel much more self assured. - I’m not afraid to stand up to insult, either to myself or to others. courage to do before. - My blog is going better than I ever thought it could. - I’ve gained more courage of conviction in the way I speak about things I am passionate about. When I read back through all of those incredible things my eyes well up. There are probably more than I haven’t remembered to put on the list because I have been changing so quickly and so many wonderful things have happened that time has passed in a blur. I can honestly say that I am happier now than I can ever remember being. Roll on 2014 and what may happen then. I so love that you broke out of your "she" shell this year! I love this post! I just wrote a post similar to this on my blog feel free to checkvit out when you can. 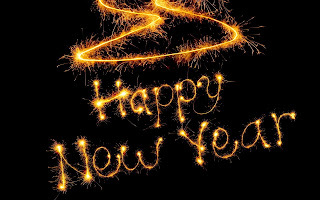 http://laydeeposh.blogspot.com have a fabulous new year!